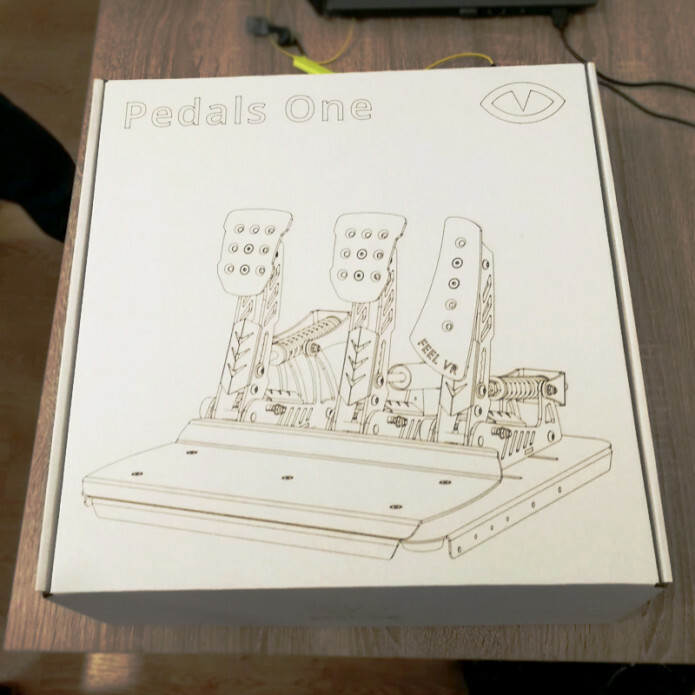 The address will be used for both Pedals and Wheel delivery, while power options above are applicable to Wheel only as Pedals are powered just by USB 2.0 type A port. 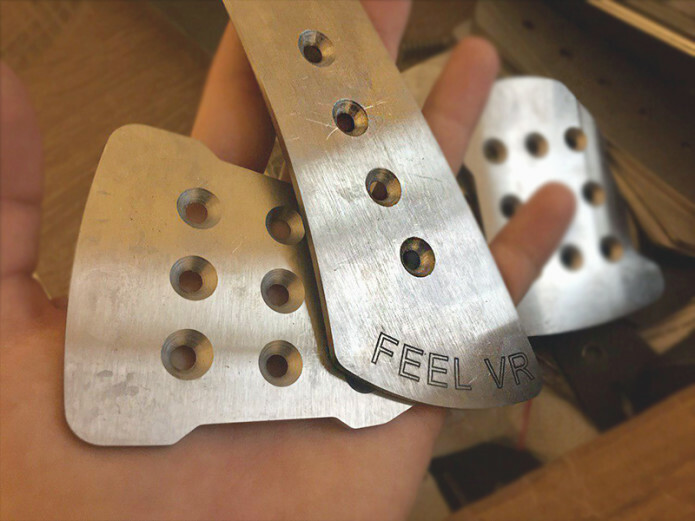 We have created and drop-tested pedals packaging and have ordered a batch of those. 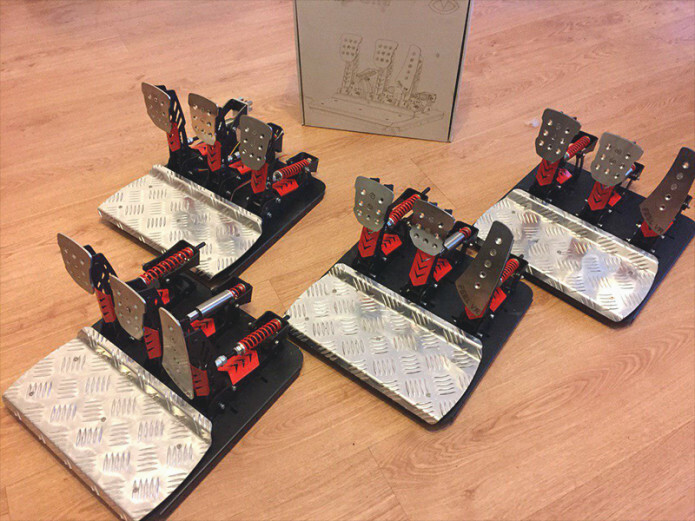 We have assembled the first mini-batch of pedals and have solved the arising problems along the way. We had issues with footpads surface finish quality, so we had to make a custom brushing solution. We have already tested it and the result have satisfied our needs. Production continues. We have also implemented a new feature which makes it possible to use pedals with realistically high brake pressure on traditional gaming setup without a rig. But more on it later. We had to make several design changes. 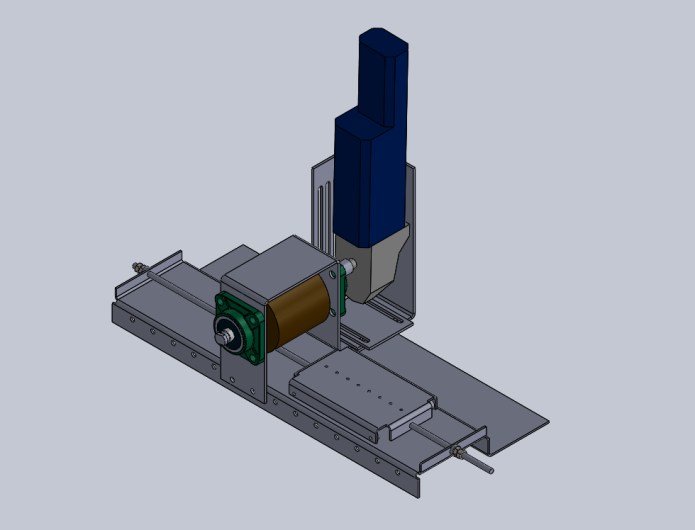 Wheel rack mechanics changes have led to new encoder PCB constraints and so board shape and topology. We had also decided to change button box battery type to two AAA to increase working time even further, so have slightly changed button-box PCBs design as well. By the way, battery weight is up to 3.3% to overall steering weight so this change won’t affect performance. As for now, all three PCB’s are at R&D/QC stage and will enter prototyping production soon. The motor control PCB that we have ordered earlier have, unfortunately, “stuck” in Chinese New Year, despite it had to be shipped before it. So we will make a new local order if would be able to get a refund or will get the PCB itself by the end of February. We’ll share more info and photos about Wheel in the next updates. Your support and faith in this project charge us with energy at difficult times. We are really grateful to you for this and for the opportunity to do something we love.